CX Journey™: Are You Part of the Convenience Revolution? Want to disrupt your business and your industry? And create fierce customer loyalty? Well, there's a secret to doing that, and if you haven't yet read Shep Hyken's latest book, The Convenience Revolution, you're missing out on the secret! This book is shorter than Shep's last couple of books, but it packs a mighty punch. It's a quick read, but don't let that fool you. Shep gives away the keys to the castle! In a recent post, I wrote that in a world where products and services are becoming more and more commoditized, customer experience is the only true differentiator. That means that brands need to fight to stay relevant - yet truly struggle to not get Blockbuster'd. I bet Blockbuster and a few other brands wouldn't be extinct today if they knew what I now know after reading this book. 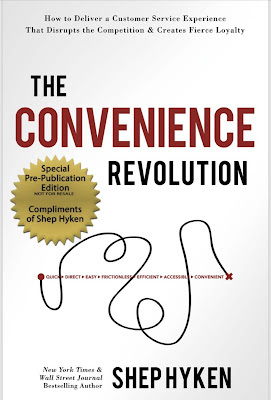 Shep not only outlines in detail the six principles of the Convenience Revolution but also provides a ton of examples of companies doing it right and those who, well, either no longer exist or need to step up. Friction is the enemy of customer experience. It frustrates the customer, annoys your team, and stops business growth. And if friction remains within the buyer’s journey, it can stop future sales. I think that, ultimately, this is the goal of all customer experience transformations: to reduce or remove friction from a customer's interactions or transactions. I don't know of a single customer experience professional who would not agree with that. A couple of definitions from Merriam-Webster include: the rubbing of one body against another; the force that resists relative motion between two bodies in contact; the clashing between two persons or parties of opposed views. Study.com notes that friction is the force that opposes the motion of an object. One definition from Cambridge Dictionary: disagreement or dislike caused by people having different opinions. It's easy to see how those definitions translate to a poor customer experience, if friction exists. 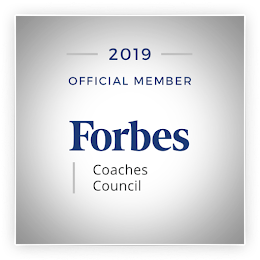 Fortunately, Shep provides several real-world examples of companies that have handily reduced friction to create great experiences for their customers: Uber, The Ruhlin Group, Ace Hardware, QuikTrip, CLEAR, and more! Read, learn, and adapt to your situation, where plausible. Want to know what the other five principles are? You'll have to read the book. Trust me. It is worth the time and money! Hurrah! I love all his books and I am sure that it deserves the money and time to read and implement each of his advice. "Keeping your customers loyal to your brand and business takes hard work. " Absolutely. Shep's books are amazing!